Cairo (AsiaNews / Agencies) - The criminal court of Beni Suef (115 km south of Cairo) has sentenced an entire family to prison for converting to Christianity. Nadia Mohamed Ali and her children Mohab, Maged, Sherif, Amira, Amir, and Nancy Ahmed Mohamed abdel-Wahab will spend 15 years in prison. Seven other people involved in the case were sentenced to five years in prison. The case of the family of Nadia Ali Mohamed began in 2004 when, after the conversion, she and her children decided to replace their Muslim names on their identity cards with their Christian names and city of residence change. To do this she was aided by seven Registry office employees e. Born Christian, she had changed her religion to marry her husband Mustafa Mohamed Abdel-Wahab. After the man's death in 1991, Nadia decided to return to her religion of origins and to push her seven children to convert. In 2006, one of the boys was arrested by police in an information center in the city of Beni Suef. 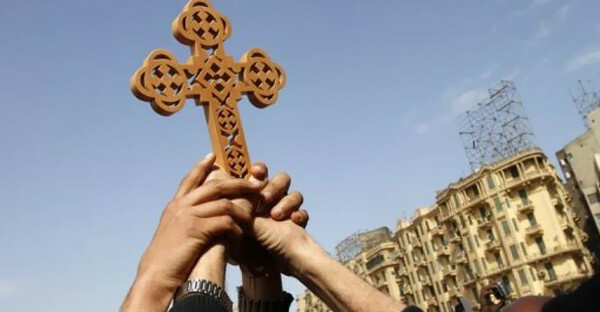 Suspicious of the young man from the documents he as carrying, where he had changed its name to Bishoy Malak Abdel-Massih, police agents interrogated him for hours until he confessed his conversion to Christianity as desired by the mother. The judges then decide to stop not only the woman, but all of her children and seven clerks from the registration office, responsible for changing the documents. An individuals religious faith is listed in Egyptian identity cards. Christians, converted to Islam for various reasons that attempt to return to the religion to which they belong have enormous difficulty in correcting their names on the documents. This leads many people to forge them, risking prison. The reverse process, ie the transition from Christianity to Islam is not hindered, and in many cases is favored by the very Registry officials.